We have come a long way quickly—two years ago The Oregon Timber Trail (OTT) was little more than a spreadsheet. To see the work that has been done thus far fills me with gratification, but seeing the work that we have laid out before us is what keeps me inspired. Not only does the OTT showcase Oregon's natural wonders for adventure seekers from across the globe, it educates about the natural and cultural history, improves health and livability of rural communities, revitalizes stagnant economies, and enriches and inspires future generations of Oregonians. Somewhere along the way we realized the breadth of positive impact the OTT could potentially create. The OTT is not just a bike trail. It is a source of community pride and personal motivation, and an avenue to learn and challenge oneself. 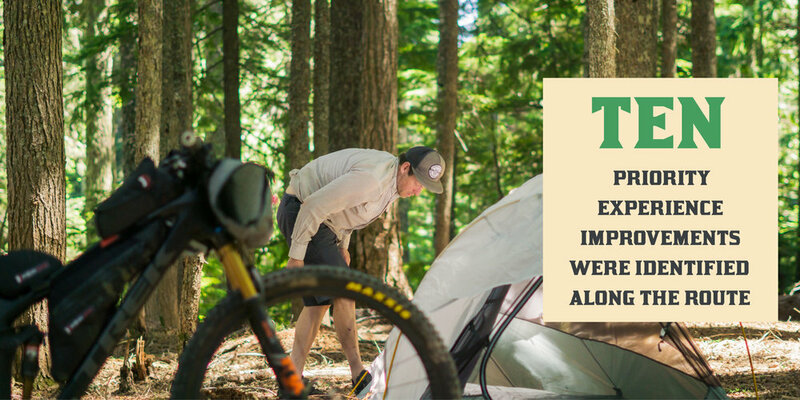 We formed the Oregon Timber Trail Alliance (OTTA) in March of 2017 to not only nourish excellent trail experiences; but also to impact communities, ecologies, and Oregonians in the most positive means possible. We currently sit as an eleven person board with diverse backgrounds and representation from across the state. The OTTA is dedicated to our four tenets: Stewardship, Education, Community, and quality trail Experiences throughout the Oregon Timber Trail corridor. Along this two-year journey the OTTA has worked tirelessly to build a strong foundation of trust and regard from public land partners, regional tourism stakeholders, advocacy groups, and trail organizations throughout the state. We've provided inspiration for thousands of neighbors and international travelers. We've laid the groundwork for impactful programming for years to come. We've grown quickly and fluidly, but with open minds. Already we have created a lot to be proud of but what we can really be proud of is the hard work we've outlined for us over the next two, five, and twenty years. Thanks for coming along for the ride. Like the work we're doing? You can help us actualize our goals by making a tax-deductible donation (#47-3339729) at the bottom of this page. Supporters just like you raised just over $2,000 during our giving campaign in November. Scroll down and click the donate button. SURVEY: Did you ride part or all of the Oregon Timber Trail? We want to hear from you.